Chief Justice John Minton delivered the 2018 State of the Judiciary address to Kentucky’s interim joint judiciary committee Nov. 2 at the law school’s Cox Lounge. Minton has headed Kentucky’s supreme court for 10 years. In his address, Minton highlighted Jefferson County’s October launch of a pilot program aimed at reducing the number of pretrial incarcerations. “Once released from custody, the defendants typically need help with substance abuse disorder, and obtaining employment, housing and health insurance,” Minton said. Minton said while the traditional Monitored Conditional Release (MCR) program supervises court-ordered conditions of release, the new Pretrial Assisted Re-entry and Treatment Services (PARTS) program offers more intensive supervision for defendants’ needs. PARTS serves up to 25 non-violent, non-sexual felony cases in circuit court who would otherwise remain incarcerated until their trial. Court technology has been undergoing upgrades, transforming from paper to paperless systems. In the last year, eFiling has been made available to juvenile, probate and forcible detainer cases. The electronic filing program processed more than $1 million in fines this July. The amount came through more than 42,000 filings and was the first time it has reached a million dollars in a month. Minton said this year, Kentucky created a Civil Justice Reform Commission with deputy chief justice Lisabeth Hughes as the chair. In its inaugural meeting in August, the commission recommended Kentucky’s supreme court develop a pilot program for “business courts,” which will be designated sections or divisions of the court for hearing complex business versus business cases not involving individuals. Business courts are in effect in 24 states, and pilot programs have been initiated in five more. Minton said their role is to “unclog” regular dockets while still giving business cases the examination and attention they need. 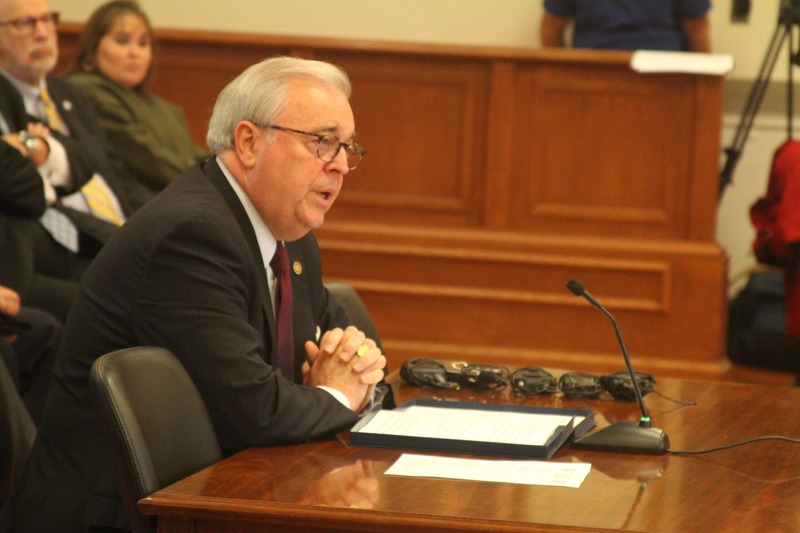 Minton said his office is evaluating data to determine the best jurisdictions for business courts, and he will soon update the committee on their progress.